VIRIDALIA NURSERY-GARDENING MARKET Two days dedicated to quality plants, botanical collecting and the ecology of gardening. A garden made by the hard work and enthusiasm of numerous growers, collectors and producers of rare and special plants lives again for two days in the Castle’s historic park and rooms. Themes of the year: berries edible real primordial garden's food, ornamental hedges of native and naturalized plants who produce them and the recovery of biodiversity. The ecology in the care of the green: the value of berries for biodiversity and for aesthetics in the contemporary garden in harmony with nature; plants for ecological gardens with a low impact with the surrounding; the food in the garden with berries and their nutritional properties; creativity and manual dexterity to create green ornaments. International exhibition of orchids in the hall with frescoes of the XVI cenutry (private collections). Exemple of garden made with organic and synergistic berries with rare and ancient plants. Botanical watercolors of Silvana Rava in the dining room of the castle. Practical demonstrations of natural dyeing and EcoPrint with berries and leaves on natural fabrics. "The food as nourishment of the body and spirit: the berries in the kitchen and pastry"
in the historical park of Castle organic restaurant and bar with bio expert chefs and pastry chefs. Specialties prepared with edible berries . Botanical watercolor class: "The small fruits in the natural garden." Sunday: Tree-climbing in the historic park. 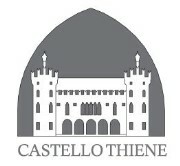 Thiene Castle is considered the most notable 15th-century, Gothic building raised in the Vicenza area for civil use. It is an extraordinary example of a pre-Palladio villa, the only one of its kind and a benchmark in the evolution of the Veneto villa. Art and furniture have been preserved over the centuries. It is located in the heart of the old city of Thiene, between the cities of Vicenza (20 km), Padua (60 km), Verona (75 km), Venice (80km). The Castle associates the characteristics of a castle with those of a Venetian palazzo and in particular the casa-fondaco: residence and warehouse/trading depot. It is now known as a Castle - possibly because of the Ghibelline crenellation or because it was built on the site of the medieval castrum - but in the first documents it is indicated as a palazzo. The term ‘villa’ is certainly appropriate in that it is the main element of a farming estate and also a prelude to Palladio’s villas. It dominates the grand ‘courtyard’ - boundary wall along the public road with large doorways shaped like crenellated towers - and was built with service buildings including a fattoria (residence of the gastaldo or steward), a colombara (dovecote), glasshouses and barchesse (colonnaded barns) with porticoes facing the courtyard.The stables are the most singular and lavish space in the whole monumental complex. It was built for Scipione Porto between the end of the 17th century and the start of the 18th to a design by Francesco Muttoni (Lugano, 1668-Venice, 1747). Access to the adjacent areas of land such as the vegetable garden and orchard - which were always part of the property but separated by public roads - was through subways built in the 16th century. Only the one that led to the noble chapel is still accessible. It contains the ice house, a large cistern with a brick vault that was filled with ice and snow to allow the conservation of foods, also in summer, in the adjacent cells. The Castle, which it is the symbol of Thiene, is a private residence of the Counts Thiene who live there and who passionately preserve and exhibit the vast complex through important cultural events and tours in the designated areas.